Ontario Bakery: Perfect Party Ideas for Awesome Kids Entering the Double Digits! 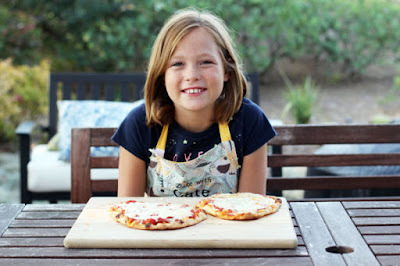 Perfect Party Ideas for Awesome Kids Entering the Double Digits! Turning ten is a big deal. The little kid years are behind you and there’s a world of new possibilities, privileges and even rides at your fingertips. Can you feel the magic they must feel? It’s huge and unlike any other birthday, so we think that’s reason to celebrate. Have three parties. You read that right; three. Why? Because they’re in transition and will love having a little of the old, a little of the new and a little of the safe and familiar. To do this, plan one with your family, one with their older 'more grown up' friends and one with their friends from the younger crowd. Yes, you’ll need to be prepared for three cakes (lemon, chocolate, and another lemon) and plenty of ice cream flavors to choose from so they feel they’re safe to indulge in all they love as well as all that’s new to them! Get them a pet or have them commit to caring for a neighbor's or family member's, if you can't do that. Kids at this age feel bigger, want to help and love knowing that they have something/one to nurture and with this idea also comes responsibility. If you decide it's best to donate your time and love, encourage the child to feed, walk and play with the nearby animal on a scheduled basis! Take them shopping so they can begin to have their own personal style. Sure, they may not always get the colors and textures right, but giving them the freedom of self expression will increase their confidence and self esteem. As the big special day approaches, embrace it for all it has to offer and remember that it’s a big change for any child and they might get emotional. So relax. Plan and prepare for the parties. Ask your child what *they* want and don't be surprised if it's filled with contradiction. In fact, that's the best time to filter each request and place it into the most suitable party. Expect high imaginative moments and extreme emotions as they subconsciously deal with this milestone. They won't fully understand what they are going through, so be supportive and be excited. We'd love to hear from you as you plan for that exciting time and would be honored to make the day even sweeter with our custom baked birthday cakes! Contact us at Ontario Bakery and let us know how we can make your celebration as memorable as possible.